‘Musharraf mulled N-attack against India’ Dubai, July 27: Pakistan’s former military dictator Gen Pervez Musharraf says he mulled the use of nuclear weapons against India amid tensions following the 2001 terror attack on the Indian Parliament, but decided against doing so out of fear of retaliation, according to a media report. Musharraf, 73, also recalled that he had many sleepless nights, asking himself whether he would or could deploy nuclear weapons, the Japanese daily ‘Mainichi Shimbun’ said The former President disclosed that amid tensions between India and Pakistan following the 2001 terrorist attack on the Indian Parliament, he contemplated the use of nuclear weapons, but decided against doing so out of fear of retaliation. “When tensions were high in 2002, there was a “danger when (the) nuclear threshold could have been crossed,” the paper quoted Musharraf as saying. At the time, Musharraf had publicly said that he would not rule out the possibility of using nuclear weapons. Musharraf also said, however, that at the time, neither India nor Pakistan had nuclear warheads on their missiles, so it would have taken one to two days to make them launch-ready. Asked whether he had ordered that missiles be equipped with nuclear warheads and put into firing position, he said, “We didn’t do that and we don’t think India also did that, thank God” – pointing, perhaps, to a fear of retaliation, the paper reported. The two countries subsequently avoided an all-out clash and tensions subsided. The then army chief Musharraf ousted the then Prime Minister Nawaz Sharif in a coup in October 1999. The army general served as president from 2001 to 2008. Musharraf has been living in Dubai since last year when he was allowed to leave Pakistan on pretext of medical treatment. He has been charged with involvement in the murder of the former two-time Prime Minister Benazir Bhutto in 2007. Although global nuclear stockpiles witnessed a drop in 2017 compared to last year, Pakistan and India continue to expand its military fissile material production capabilities on a scale that may enable a significant increase in weapons inventories over the next 10 years, the Stockholm International Peace Research Institute (Sipri) said in a publication titled “Trends in world nuclear forces, 2017”. The global nuclear stockpile has decreased to 14,935 warheads in 2017 from 15,395 in early 2016. At the beginning of this year, the United States, Russia, United Kingdom, France, China, India, Pakistan, Israel and the Democratic People’s Republic of Korea all possessed approximately 4,150 operationally deployed nuclear weapons, the Sipri report said. World nuclear forces, January 2017. ─ Sipri Fact Sheet. Russia possesses the greatest number of nuclear warheads with 7,000, followed by the US with 6,800. Both have reduced their stockpiles over the past decade, albeit at a slowing rate, the report claimed. The arsenals of other countries are considerably smaller, but all are either developed or deployed new weapons systems or intend to do so, according to the report. Pakistan and India both, for instance, are working on developing new land, sea and air-based missile delivery systems. As of January 2017, Pakistan was estimated to possess a stockpile of up to 140 warheads, according to the Sipri report. This showed a marked increase from the 120–130 warheads estimated in the research institute’s data for 2016. Pakistan has been expanding its main plutonium production complex at Khushab, Punjab, which consists of four operational heavy-water nuclear reactors and a heavy-water production plant, as well as constructing a new reprocessing plant at another site. Thehave predicted that the size of Pakistan’s nuclear stockpile will increase significantly over the next decade, although estimates of the increase in warhead numbers vary considerably depending on assumptions about Pakistan’s production capabilities. While aircraft constitutes as Pakistan’s most developed nuclear payload delivery system, recently the government has focused on expanding its capabilities to nuclear-capable land-based ballistic and cruise missiles. Pakistan currently deploys two types of road-mobile short-range ballistic missiles and has developed two types of medium-range ballistic missiles. The Shaheen-III missile ─ a longer-range variant under development ─ will be capable of striking targets throughout India. A short-range nuclear-capable missile has also been developed with the apparent use intention of being used in tactical nuclear roles and missions. “The development of so-called battlefield nuclear weapons reflects the pursuit of what Pakistan officials describe as a ‘full-spectrum deterrence’ posture,” states the report. “Pakistan has acknowledged that it is seeking to match India’s nuclear triad by developing a sea-based nuclear force,” the report adds, acknowledging that there has been “considerable speculation” that the sea-based force will initially consist of nuclear-armed sea-launched cruise missiles deployed on submarines or on surface ships. By the onset of 2017 India was estimated to have a nuclear arsenal of up to 130 weapons, the report stated, and this represented an increase in the country’s nuclear stockpile from the 110–120 warheads estimated in the Sipri nuclear data for 2016. The article goes on to note that India is moderately expanding the size of its nuclear weapon stockpile as well as its infrastructure for producing nuclear warheads. “It [India] plans to build six fast breeder reactors, which will significantly increase its capacity to produce plutonium for weapons,” reads the report. India plans on expanding its uranium enrichment capabilities with the construction of a new “un-safeguarded” gas centrifuge facility, the report claims. India continues to maintain focus on developing the Agni family of land-based nuclear-capable ballistic missiles ─ flight tests of a new road-mobile, canister-launched ballistic missile, the Agni-V, is reported to have a near-intercontinental range and possess the capability of reaching targets throughout China. The Agni-V is expected to be inducted into service in 2017. India continues to develop the naval component of its triad of nuclear forces in pursuit of an assured second-strike capability. India are likely to test K-4 SLBM from an underwater pontoon. There is reason now for China and Pakistan to be sore with India as the latter is expected to test launch K-4, a submarine-launched ballistic missile (SLBM) from an underwater pontoon on January 31, 2017. The K-4 SLBM has a strike range of around 3,500km and is said to be weigh 17 tonne. The missile can carry warhead of two tonne and is powered by a solid rocket propellant. The K-4 has been compared with Agni-III in terms of range. Submarine-launched missiles are miniaturised to fit the nuclear missile silos. This is not the first time India is testing the K-4 SLBM. Last year, in March, India tested the missile from depth of 30mts, with “roaring success,” the New Indian Express reported. The January-end test is expected to be fired from a depth of 20-30mts, though the missile is designed to be launched from depth of 50mts. The K-4 is a combination of cruise and ballistic missile. It uses multiple stage rockets to exit the atmosphere and re-enters in a parabolic trajectory. India has already inducted an indigenously built nuclear submarine, INS Arihant that could eventually host the K-4s. Along with the K-4, an intermediate range missile, India is also developing a smaller, 700km missile, K-15 (B-05). India has also tested the K-15. Apart from the K-4, K-15, New Delhi is said to be working on K-5, a 5000km SLBM. All the K-series of missiles will eventually make their way into India’s Arihant-class submarines. The report also claimed that the K-series of missiles are faster, lighter and stealthier. For India, it is paramount, strategically, to have credible minimum deterrence against a nuclear Pakistan and China. India also needs to have the capability of a second strike as India has voluntarily proclaimed a “No First Use” policy. India also has a good track record when it comes to nuclear proliferation and safeguards unlike Pakistan. New Delhi wants to march ahead and seal its status as a responsible nuclear-triad nation. NEW DELHI: The first ever shipment of uranium from Australia — having world’s biggest reserves of yellow cake — is on its way to India elevating strategic partnership to a new level, informed visiting foreign minister Julie Bishop. India’s nuclear strategy, which has traditionally focused on Pakistan, now appears to place increased emphasis on China, the two experts claimed. 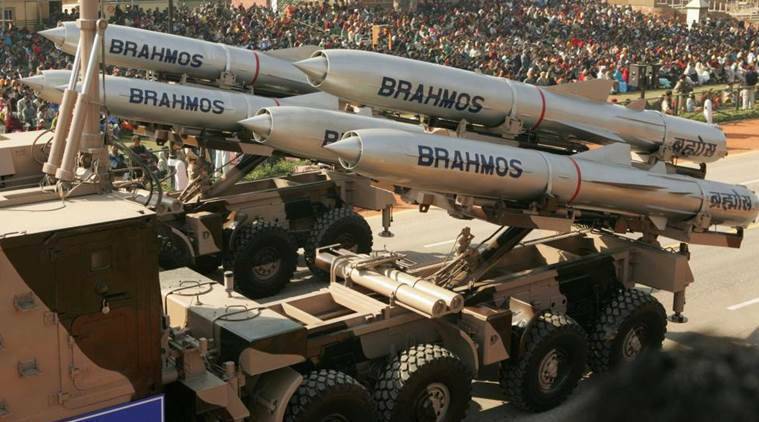 (File photo)India continues to modernise its atomic arsenal with an eye on China and the country’s nuclear strategy which traditionally focused on Pakistan now appears to place increased emphasis on the Communist giant, two top American nuclear experts have said. An article published in the July-August issue of the digital journal ‘After Midnight’ has also claimed that India is now developing a missile which can target all of China from its bases in South India. India is estimated to have produced enough plutonium for 150–200 nuclear warheads but has likely produced only 120–130, wrote Hans M Kristensen and Robert S Norris in the article-“Indian nuclear forces 2017″. India’s nuclear strategy, which has traditionally focused on Pakistan, now appears to place increased emphasis on China, the two experts claimed. While India has traditionally been focused on deterring Pakistan, its nuclear modernisation indicates that it is putting increased emphasis on its future strategic relationship with China,” they wrote. “That adjustment will result in significantly new capabilities being deployed over the next decade that may influence how India views nuclear weapons’ role against Pakistan,” they said. Noting that India continues to modernise its nuclear arsenal with development of several new nuclear weapon systems, the two experts estimate that New Delhi currently operates seven nuclear-capable systems: two aircraft, four land-based ballistic missiles, and one sea-based ballistic missile. “At least four more systems are in development. The development program is in a dynamic phase, with long-range land- and sea-based missiles emerging for possible deployment within the next decade,” it said. India is estimated to have produced approximately 600 kilograms of weapon-grade plutonium, sufficient for 150–200 nuclear warheads; however, not all the material has been converted into nuclear warheads, it said. 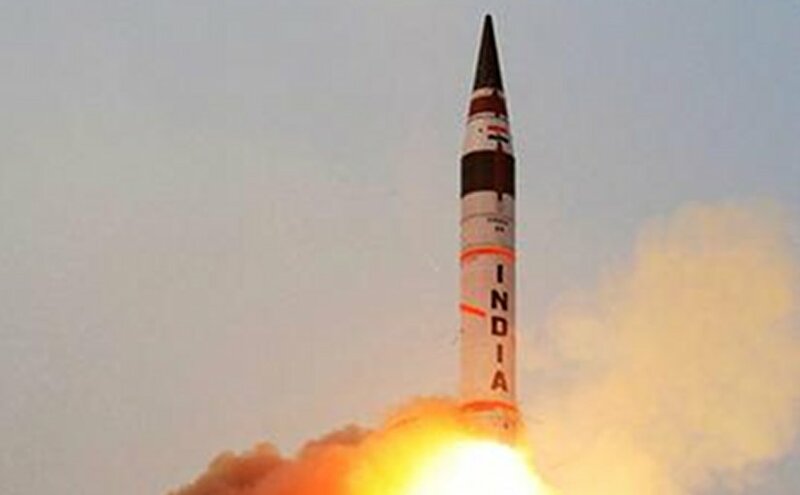 Based on available information about its nuclear-capable delivery force structure and strategy, we estimate that India has produced 120–130 nuclear warheads, the article said adding that the country will need more warheads to arm the new missiles it is currently developing. Kristensen and Norris said that the two-stage, solid-fuel, rail-mobile Agni-2, an improvement on the Agni-1, which can deliver a nuclear or conventional warhead more than 2,000 kilometres is probably targeted on western, central, and southern China. Although the Agni-4 will be capable of striking targets in nearly all of China from northeastern India (including Beijing and Shanghai), India is also developing the longer-range Agni-5, a three-stage, solid-fuel, rail-mobile, near-intercontinental ballistic missile (ICBM) capable of delivering a warhead more than 5,000 kilometres (3,100-plus miles), it said. “The extra range will allow the Indian military to establish Agni-5 bases in central and southern India, further away from China,” the research article said. India and Pakistan are currently in turmoil. Apart from the gunfire along the Line of Control (LoC), the two neighbouring countries are issuing statements and counter-statements on various issues, including Kulbhushan Yadav and Kashmir. Warmongers in these two countries are looking for an opportunity to trigger war. Today’s generation, who are watching brutal scenes in audio-visual and social media, lack proper knowledge of the war. We have a duty to make them aware of the horrific consequences of war between the two powerful nations. The constant conflict between India and Pakistan along the LoC is a common (minor!) issue. Since the partition of India in 1947, the two countries have fought four wars. As per statistics, around 22,600 soldiers were killed and 50,000 were seriously injured in Indo-Pak wars of 1947, 1965, 1971 and 1999. According to information from various sources, about 100,000 families have been directly affected by the wars. Moreover, both countries had to spend a huge amount of money. At present, India and Pakistan have better nuclear capabilities. International Physicians for the Prevention of Nuclear War and Physicians for Social Responsibility jointly published a report in December 2013 according to which an Indo-Pak nuclear war would have a global impact. It will certainly disturb the balance of environment. Experts opine that half of ozone layer will be destroyed and the direction of monsoon wind will be changed. In case of a nuclear war between the two South Asian neighbours, carbon aerosol particles will be spread in the atmosphere due to atomic explosion. As a result, the production of rice, wheat and cereal crops will be severely affected for a decade. Also, about 200 million people will suffer from famine. About 140,000 people were killed in Hiroshima when America dropped a nuclear bomb on the Japanese city on August 6, 1945. Approximately 237,000 people died due to various diseases caused by side effects of the bomb. In case of a Hiroshima-like bombing on any Indian or Pakistani city, the third level of human skin will be burnt. According to experts, 20 million people may die in the first week of war and the number of deaths will increase gradually from the second week. However, some leaders of these two countries, who are unable to see the overall impact of the conflict between the two nations, and their supporters believe that the only solution of the Indo-Pak problems is war. What is the most horrific is that some of them have started considering whether nuclear weapons can be used in the war. Former President of Pakistan General (Retired) Pervez Musharraf had said that nuclear weapons should not be saved to be used on Shab-e-Baraat and other “celebratory” occasions. Pakistan has the fastest growing nuclear weapons programme in the world. By 2022, the country will have enough fissile material to produce 250 nuclear devices. Some leaders from India have also supported the option of using nuclear weapons if there is a war with Pakistan. We can easily learn lessons from the experience of four large scale wars. But for some Indian and Pakistani leaders, rhetoric and warmongering are important tools to mobilise their limited support base and they hardly give a thought on the consequences of a war. It is important for democracy-loving people to remind them of consequences of war. History says that a bloody war triggers another war. We should remember that the atrocity gives birth to more horrific atrocities. Out of the fear that Hitler may use nuclear bombs, scientists advised the American government to initiate the nuclear bomb-making programme or the famous ‘Manhattan Project’. The bomb was discovered after four years of relentless efforts. By that time, Germany surrendered. Japan’s defeat was also expected. But, America was determined to take revenge of the ‘Pearl Harbour’ attack. Albert Einstein urged the US not to attack Japan. However, Washington rejected his request and Einstein said after the war that the war was conquered, not the peace. It is not always possible to calculate the damage beforehand. So, some people want to fight war against their enemies without considering its consequences. The bloody consequences of the past Indo-Pak wars should be the main tropic of discussions in media. Sometimes, history checks our patience. Now, peoples of India and Pakistan will have to show their patience and protect the humanity. They have to make a crucial decision – whether to resolve the problem through peaceful negotiation or to allow the warmongers from both the countries to sway to the perception of general public about the necessity of a war. The report by Project Alpha concludes that the strategic trade with India will enhance its nuclear weapons latency and enable it to push for a third ‘breakout’ of nuclear weapons. A similar conclusion was drawn by Harvard University Belfer Centre’s recent report, titled ‘Indian Nuclear Exceptionalism’, which concludes that India has ostensibly a fissile material stock worth 2,600 nuclear warheads. This assessment makes India fall in the unenviable third place after the United States and Russia. A more modest assessment had appeared last year in a petite book by four Pakistani scholars, who placed Indian nuclear arsenal at around 500 warheads – still making it the holder Bronze Medal amongst the nuclear-armed states. The book titled ‘Indian Unsafeguarded Nuclear Programme’ posits that India has enough indigenous uranium to cover its weapons and energy requirements of more than a century. If these assessments are true, there’s no reason that the NSG should even consider New Delhi’s application for membership because nuclear trade will only help the country vertically proliferate and at some stage become a threat even to its benefactors. India’s nuclear self-determination as well as its interests in keeping its future options open would prevent the country from agreeing to other non-proliferation commitments, such as the Comprehensive Test Ban Treaty (CTBT) and Fissile Material Cut-off Treaty (FMCT). The country has the largest unsafeguarded nuclear programme in the developing world and refuses to bring a substantial part it’s so-called civil nuclear programme outside IAEA safeguards. Likewise, Indian refusal to sign CTBT is because it is ostensibly developing thermonuclear weapons in a secret nuclear city in Karnataka’s Challakere area – producing HEU in access of its needs for fuelling nuclear submarines. Within this context, the King’s College report highlights that international trade and other cooperation with India is contributing to India’s strategic programmes both directly and indirectly. This report also highlights the possible erosion of political control of the nuclear arsenal. The Agni-V intercontinental range capable ballistic missile is pre-mated in the same manner as the pre-mated ballistic missiles used on-board Arihant-class SSBNs. This will have a significant impact on nuclear policy and command and control. Indian entities are at onward-proliferation risk. The potential danger lies with the re-export of sensitive items and knowledge out of India to foreign powers. The domestic industry supplying India’s strategic weapons complex and the country’s nuclear programme have reached sufficient technical maturity to export expertise and tangible nuclear and missile-related goods. The supply of uranium from other countries allows India to burn this safeguarded fuel in their safeguarded facilities whilst using their sizeable natural uranium resources to breed plutonium and produce weapons-grade uranium for an expansion of their nuclear arsenal. It’s worth recalling that the NSG was created in 1975 as a reaction to Indian nuclear proliferation since 1950s and testing of its first bomb in 1974. India’s scientific complexes (nuclear, missile, and space) are poorly separated. The nuclear programme in India has been partially submitted to international safeguards, but this remains limited and allows India to exercise de facto nuclear weapons state privileges regarding the production of special fissile material. This unclear separation should raise concerns about the unwitting or deliberate assistance of foreign entities when engaging with Indian entities who are stakeholders in the strategic weapons programme. Illicit procurement of dual-use items intended for use in the Indian strategic weapons programme is a dimension of activity difficult to assess. Nonetheless, this study confirms that such behaviour has occurred in the past and may have waned in recent years as indigenous capabilities increase and India’s ability to procure items from abroad has increased. The report also identifies and characterises entities involved in India’s strategic weapons programme. KCL’s report is an essential update on the record of Indian entities and will be of interest to government and private sector customers dealing with proliferation issues, particularly with regards to sensitive and dual-use items headed for end-users in India. This report shall be read carefully by the 48 participating governments of NSG before they meet in Bern in few days. Alarmingly, 243 entities have contributed to India’s strategic nuclear and missile programmes as key weapon stakeholders, unsafeguarded nuclear fuel cycle entities, defence supply chain entities, developers of auxiliary systems such as vehicles, and entities conducted dual-use research of concern. There is a wider and deeper network of suppliers and researchers involved in this system. India’s strategic weapons complex has explored and developed additional weapons systems that could be made nuclear-capable should there be political will. encompasses a number of entities performing dual civil and military functions. 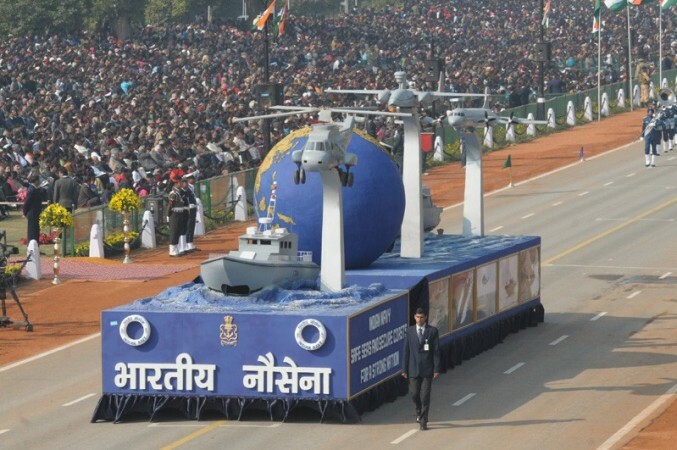 India has used informal forums such as the High Energy Materials Society of India or Indian National Society for Aerospace and Related Mechanisms as potential spaces for Indian strategic weapons scientists to meet and exchange ideas with foreign scientists. The process of Indian science developments taking the lead over policy direction is why India’s technological latency should raise concerns. Furthermore, an acute nuclear crisis in South Asia would see India mobilise its science and technology potential to undergo a new massive expansion of nuclear capabilities – a third breakout. Indian Navy is on its way to build a naval nuclear deterrent of at least six nuclear powered submarines by 2022 that will carry more weapons than French and British navies combined. The Indian government’s support for its domestic industry in the face of international sanctions and technology denial has continued since the normalisation of trade relations in 2008 with exceptional American help. The US won a trade waiver to India that year which has allowed it to sign a dozen nuclear deals since then. Continued special treatment threatens to erode the interlinked non-proliferation regime by demonstrating the viability of achieving nuclear weapon state status outside the NPT and the possibility of Indian reintegration without significant concessions. This exceptionalism begs the question: how can the abnormalities in the non-proliferation regime be addressed and the technological apartheid can end? The nuclear-haves are running with the hares and hunting with the hounds. *Asma Khalid is a Research Associate at Strategic Vision Institute, a think-tank based in Islamabad. Email: asmaakhalid_90@hotmail.com.